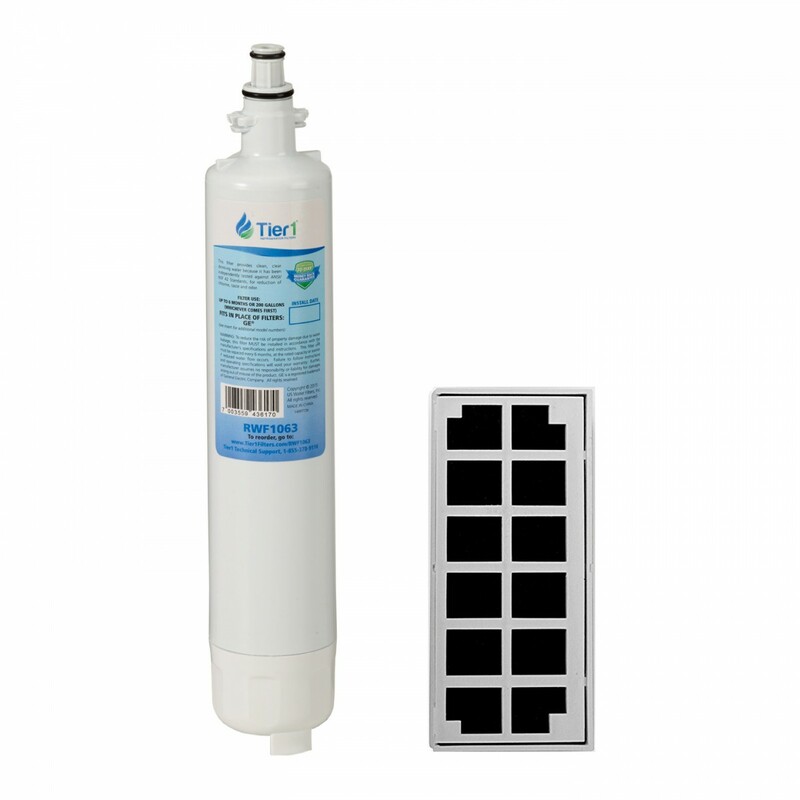 The RWF1063 Combo Pack is a 2-in-1 deal that can greatly improve your refrigerator's drinking water, while keeping your refrigerator free from unpleasant odors. 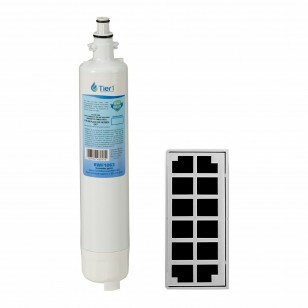 The combo pack includes the GE RPWF comparable refrigerator water filter, and the GE Cafe Series Odor Filter comparable refrigerator air filter. 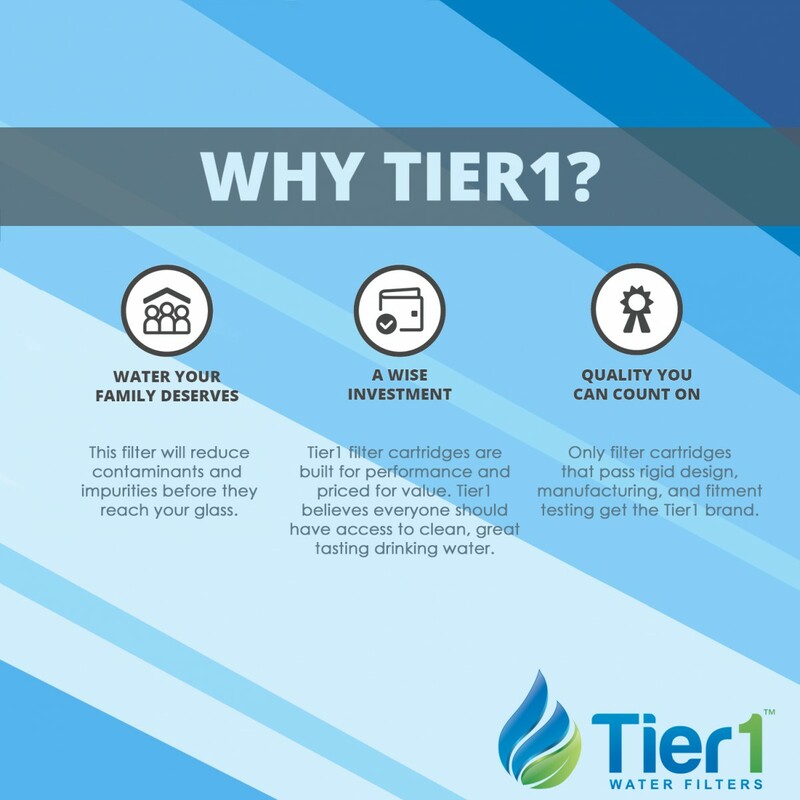 The RWF1063 from Tier1 is built to fit fridge models requiring GE RPWF replacement refrigerator water filters and it reduces chlorine taste and odor, dirt, sediment, turbidity and other impurities in your drinking water. 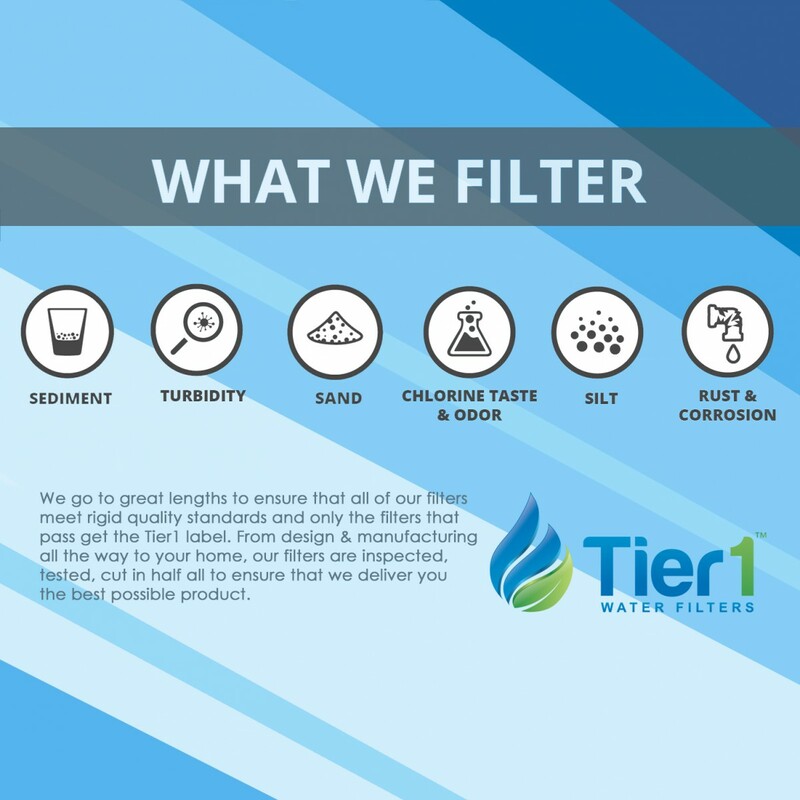 Paired with the RAF1190 Odor Filter, which can significantly reduce undesirable odors in your fridge, you have yourself quite the fridge-friendly duo. 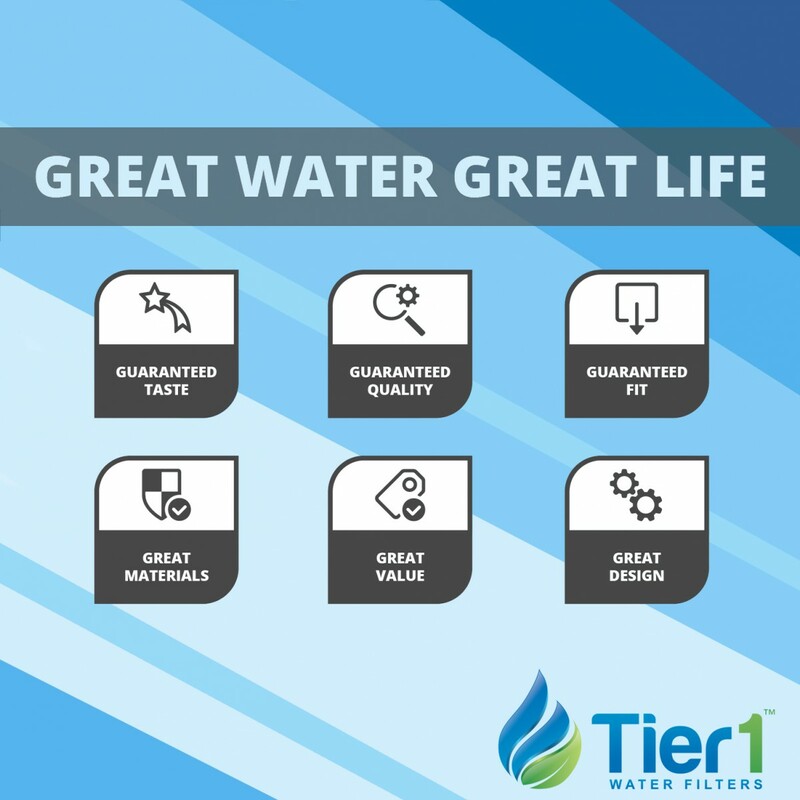 Both are quick and easy to install and each filter is designed to last up to six months before replacement is necessary. Freshen up your fridge, and buy the RWF1063 Combo Pack today!